You don't think cats can help with housework? which duster would you like? I'll get the sponge for you. 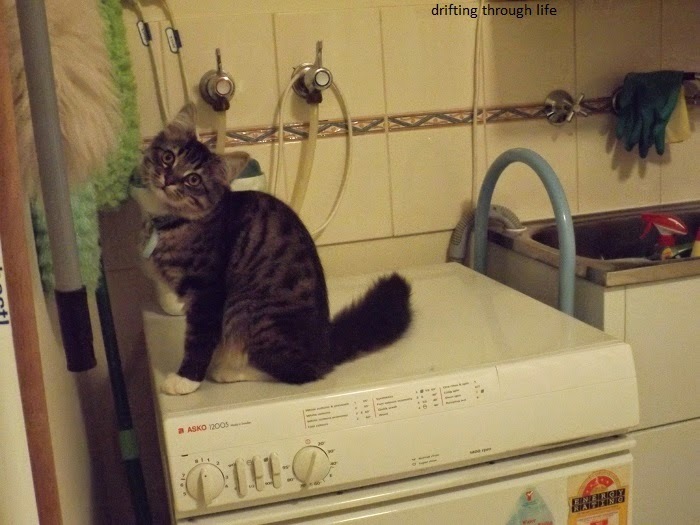 you missed a spot, I'll dry it. Oh, you folding clothes now? oh now, this is too much. Get out of my knickers drawer! Aussie Aussie Aussie, Oi Oi Oi? or Oy Vey? how much sleep does one cat need?